The definition of manorialism is the system by which the Lord of the Manor exploited the serfs or tenants who worked his estate, or Fief. Manorialism extended the concept of the feudal fief, or fiefdom, as a principal land owner, or lord of a Manor. The Manor House was the main dwelling on the Lord of the Manor's estate. Manorialism represented the economic portion of feudalism where all aspects of life were centered on the lord’s manor including the village, church, farm land and mill. Manorialism involved a hierarchy of reciprocal obligations that exchanged labor or rents for access to land. Manorialism also encompassed the political relations between the Lord of the Manor and his peasants. This allowed the Lord of the Manor governmental power which included the maintenance of a court. Manorialism is sometimes referred to as the seignorial system, or Seigneurialism. The Middle Ages system of Manorialism was the organization of a rural economy and society. The Lord of the Manor operated the system of manorialism which gave him economic and legal power over his tenants. The lord's land was called his "demesne," or domain which he required to support himself and his retinue. The rest of Manor land was allotted to the peasants, who were his tenants. The land was split up into a large number of small strips (usually about half an acre each). Peasants also had rights to use the common land. and was allowed to take wood from the forest for fuel and building purposes. A peasant's holding, which also included a house in the village, thus formed a self-sufficient unit. The right of disinheritance by which he could claim the goods of a person who died on their lands and had no direct heir. They also had the right of claiming a tax when a fief or domain changed hands. 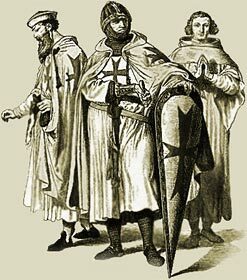 The Medieval Times website provides interesting facts, history and information about these great people and important historical events which scatter the Medieval History books including Manorialism. The Medieval Times Sitemap provides full details of all of the information and facts about the fascinating subject of the lives of the people who lived during the historical period of the Middle Ages. The content of this article on Medieval life and times provides free educational details, facts and information for reference and research for schools, colleges and homework for history courses and history coursework.